The university of Hebei North is always doing the best to attain the wanted results from their students. The major of the university is to educate on the main course of MBBS to all international and domestic students. Hebei North university has a better teaching curriculum to deliver to their students which is updated to an advance level at the end of each year. This method helps the students grasp more during taking their daily lessons. The university requires students to pass through Chinese language Education for a year while learning other subjects like Mathematics, Chemistry, Physics and English. 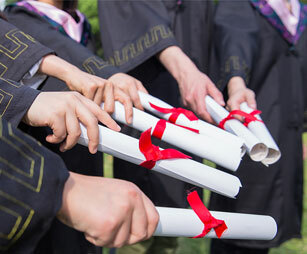 During the first year, stuff members and coordinators insists students to get serious on their studies, and the following years it is the school that goes through all the student`s attendance in class and under strong supervision and daily class inspection, students are made to attend all the classes. This is to make sure all the students do what they were initially brought in China to do, that is serious studying. The board of the university has said "most of the students in third and forth year have not been attending daily lectures and that they sometimes forget to study due to being involved in other activities apart from School like business and teaching". The class coordinators have a duty to remind all the students and call out class meetings every week. These are among a few new rules kept for the international student, with the above list, there are so much more.